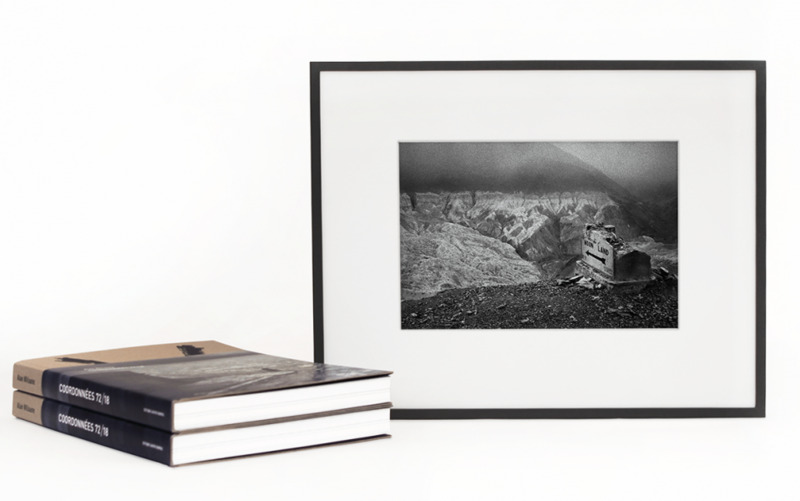 Accompanying the release of the monograph Coordonnées 72/18 by Alain Willaume, we offer a limited edition box set including a signed copy of the publication with a signed and numbered B&W gelatin silver print, Boundary stone on Srinagar-Leh Road, overlooking the Lamayuru Monastery. 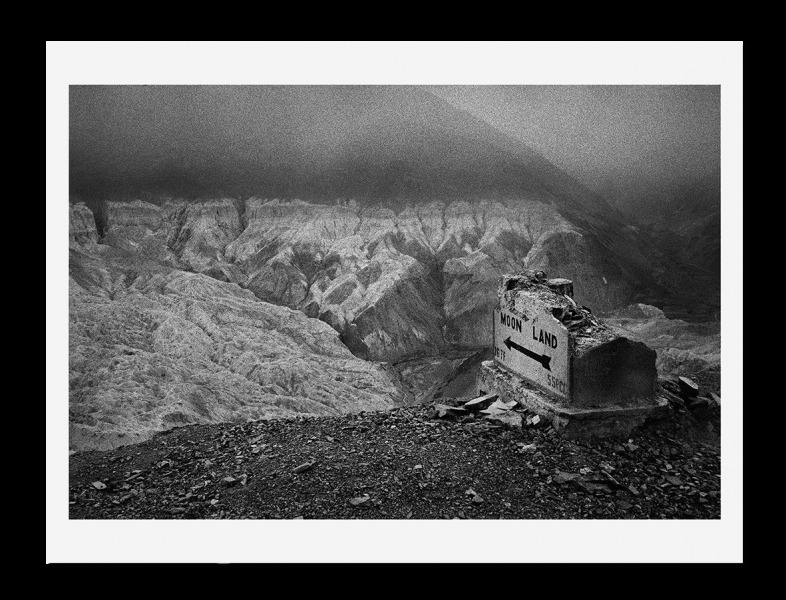 Ladakh, State of Jammu and Kashmir, India, 1998 from the “De finibus terrae” series. 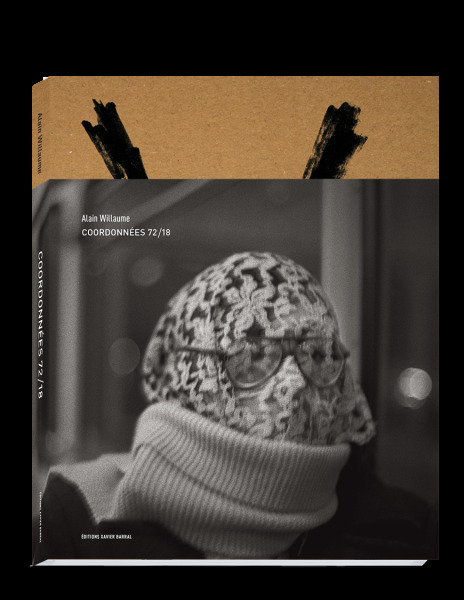 Click here to view the book page of Coordonnées 72/18. 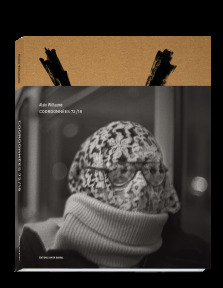 made by Frédéric Jourda of laboratoire PICTO in Paris.